Home > Blog > What are the most recent advances in assisted fertility techniques? IVI, the largest assisted reproduction group in the world, has been offering the most advanced and effective assisted fertility treatments for more than 27 years, thanks to which more than 160,000 babies have been born to date. However, this is not the full story of how the organisation works. It is also at the forefront of developing new technologies through specialist research. Some of these new methods have become successful elements of the treatments available in many centres throughout the world, such as Sperm Microinjection and the Embryoscope®, which IVI participated actively in developing. Many of the major developments and research findings of assisted fertility specialists are presented at the annual Congress of the American Society for Reproductive Medicine (ASRM). The Society is a nationally and internationally recognised leader for multidisciplinary information, education, advocacy and standards in the field of reproductive medicine. It is a non-profit organisation whose members uphold the strong ethical principles of the medical profession. This year’s congress, the 74th, was held in Denver, Colorado. It featured two presentations by senior IVI research scientists on findings that will impact on new treatments for different types of patient. In this article, we look in detail at these findings as they were presented in October 2018. The first relates to the field of obesity and fertility and in particular how the deferred transfer of an embryo increases the chances of pregnancy in obese women. The second looks at the complex area of uterine malformation known as a T-shaped uterus and how the reproductive prognosis of patients with this anomaly can be improved. According to World Health Organisation (WHO) in 2016, 40% of the adult female world population was overweight and about 15% classed as obese. The negative effects of these conditions on fertility are well known. This is the result of various factors such as low endometrial receptivity. The endometrium is the temporary lining of the uterus which is shed each month as part of the menstrual cycle. The low receptivity which is associated with obesity makes embryonic implantation more difficult. It therefore decreases the likelihood of a normal conception or of a successful IVF treatment. Implantation and pregnancy rates decrease significantly as female BMI increases. IVI has spent years researching the correlation between obesity and decreased fertility in patients and how being overweight affects fertility. In fact, obese women often need a longer period of time to become pregnant spontaneously and are three times more likely to have infertility problems than women of normal weight. In addition, the risk of obstetric complications is three times higher in obese women, with increased miscarriage rates and with twice the risk of foetal death and premature delivery. This is why specialists recommend that normal weight should be maintained during pregnancy to ensure minimal risk and to avoid adverse effects on the health of the baby. Nevertheless, in view of the large numbers of people who are affected by being overweight or obese, there is clearly a significant value in enhancing their chances of reproductive success and in increasing the ability of IVI and similar organisations to make improved and effective treatments available. This was the context of the presentation to the ASRM congress made by IVI’s Medical Director, Antonio Requena. The research presented by Dr. Requena is based on the premise that obese women could benefit from the deferred transfer of the embryo during the IVF process. This is something that, according to a prospective study, improves the chances of a successful pregnancy resulting from IVF since it eliminates the correlation between the rates of implantation, miscarriage and live birth, obesity rates and body fat. ‘Instead of transferring the embryo only a few days after stimulating the growth of the ovules and extracting them, the transfer can be delayed to a later cycle. In this way we avoid a possible negative effect on the endometrium without diminishing the quality of the embryos’, explained Dr Requena. This postponement is made possible by the vitrification technique: ultrafast freezing in liquid nitrogen at minus 196º C. The main advantage of the vitrification of oocytes in contrast to traditional freezing is that ice crystals, which would damage the oocyte, do not form, and around 97% of the oocytes survive the process. Furthermore, the same clinical results are obtained as when fresh oocytes are used. In addition to its work on delayed transfer of embryos for the benefit of overweight patients, IVI also participated in the development of the vitrification technique itself, one which is now used on a daily basis in over 70 IVI clinics worldwide. The technique is also crucial for some of IVI’s other fertility treatments, for example in the case of women who want to preserve their future fertility. If you would like to find out more about the vitrification process, take a look at the video about vitrification on IVI’s YouTube channel. The second piece of IVI research relates to the diagnosis and treatment of a T-shaped uterus or other uterine malformations and abnormalities. What is a T-shaped uterus? As the name indicates, a T-shaped uterus is a malformation of the uterine cavity which is narrowed and elongated into a shape resembling the letter T. The formation of this anomaly occurs during the embryonic period and involves the characteristic narrow and tubular form of the endometrial cavity, i.e. the uterus. The condition is associated with a high frequency of poor reproductive and obstetric results. 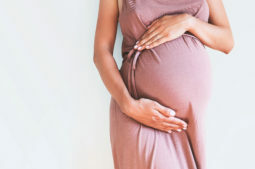 In other words, T-shaped uterus symptoms include difficulty in conceiving as well as more frequent miscarriages and a greater frequency of premature births. T-shaped uterus symptoms also include a greater occurrence of dysmenorrhea, the medical term for menstrual cramps. Clearly any research work which improves the outlook for patients with this condition is going to have a considerable impact on the work of IVI and its success in diagnosing and treating the condition so that these patients can look forward to a positive outcome. And this is exactly the focus of IVI’s development in the field. Clinicians at IVI have demonstrated the usefulness of 3D ultrasound technology to help improve the reproductive prognosis of patients suffering from the anomaly of a T-shaped uterus. Dr Requena explained during the presentation that early diagnosis of the condition by eco3D ultrasound is a potential tool for the improvement of reproductive and obstetric health for many women. It is also a very useful resource in the hysteroscopic field, which is the examination of the cervix and interior of the uterus. The system is a major improvement not only in the ability to diagnose a T-shaped uterus but also as a support for doctors in the surgical remodelling of the endometrial cavities in those cases where surgery is indicated. A further significant advantage is that the portability of the eco3D systems means that all IVI operating rooms have these systems to hand for their day-to-day work. IVI so firmly believes in this diagnostic method, both in its research and clinical aspects, that it is now available in all IVI clinics. 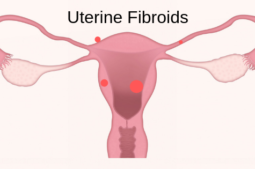 3D ultrasound allows the comprehensive evaluation of the uterus, in a simple, fast and detailed way and represents a remarkable advance over conventional ultrasound techniques based on 2D visuals. These two advances in the techniques available to IVI in its work to help people experiencing infertility are just the latest examples of our commitment to continual development and improvement. Other areas of research have included the use of artificial intelligence (AI) in embryo selection and an award-winning IVI study on ovarian rejuvenation. We encourage anyone interested in the field of assisted reproduction, or any of its particular aspects, to browse our website for the latest news on research and development. You can also find the latest updates on assisted fertility treatments available as well as our audited clinical results. The headline result of which we are most proud is that 9 out of 10 couples that consult IVI due to problems with infertility and who put their trust in us achieve their goal of becoming parents. As our research and development of new techniques continues to advance, we aim to surpass this impressive result with an even higher rate of successful outcomes. If you have questions about how being overweight affects fertility, suspect that you may have T-shaped uterus symptoms or other fertility issues, get in touch with us at IVI. You can discuss your own individual circumstances with one of our clinical advisers, without any obligation. You can fill in our online contact form, or you may like to take a look at our video about what to expect from your first IVI consultation. We look forward to being of help.